We at Travelogy India pride ourselves in rendering excellent service. It is good to note that we cater to private as well as corporate business sectors. This has made Travelogy India grow in leaps and bounds in terms of reputation. It is the 32 seater coach that caters to a medium sized party and comes with plenty of space making your journey comfortable and affordable. 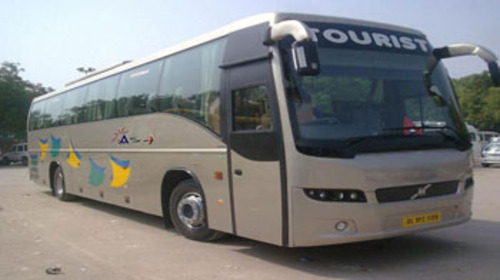 In fact, all coaches are rendered with a qualified driver thus making the journey superb. What’s assured with 32 seater coaches! Kindly note that we strive to cater to your specific requirements, above mentioned list is subject to change with slight amendments. Should you require specific equipment, we are there for any type of enquiry.